Volunteering on a Dentistry project in China is an exciting experience. As a dental volunteer you will gain a great deal of valuable work experience alongside some of the most skilled and inspirational dental practitioners in the country. The facilities are generally of a high standard, on a par with many hospitals in the west. 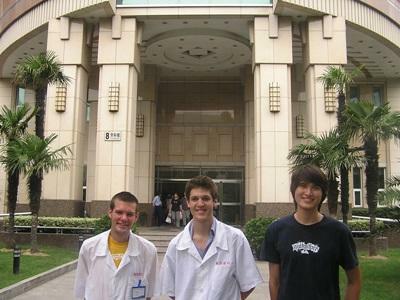 If you have at least one year's related experience in Dentistry you can volunteer in one of the hospitals we work with in Chengdu or Shanghai. Our placements provide you with an opportunity to shadow local dentists, learning all about the practical aspects of the subject in China. Your supervisor will test your knowledge, and will be prepared to answer any questions you have. You will have the opportunity to observe a huge variety of dental procedures, from basic oral healthcare and fillings to root canals and tooth extractions. You may even have the opportunity to observe complex orthodontic surgeries. Dentistry volunteers need to commit for a minimum of one month. When volunteering with Projects Abroad in China you will live with other volunteers in a well-equipped, modern apartment. You will also have the opportunity to experience the vibrant night-life of Chengdu or Shanghai and relaxed weekends travelling out of the cities with the Projects Abroad volunteer community. All Dentistry volunteers in China must have completed at least one year of dentistry related studies or training by the time they join this project.